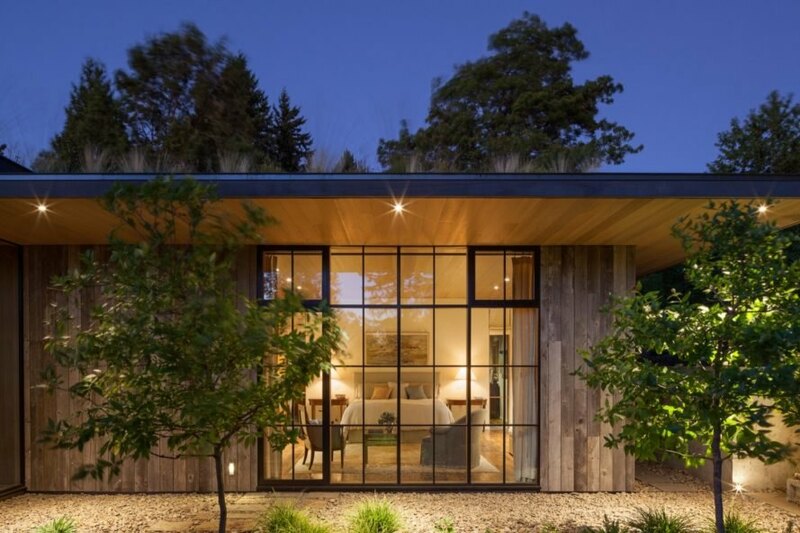 Tapped to design a home for a master gardener in Portland, Oregon, Olson Kundig crafted the Country Garden House, a light-filled home that frames garden views from every room. Designed for indoor-outdoor living, the home features walls of glass that overlook stunning vistas and spans 5,300 square feet to accommodate the needs of a multigenerational family. 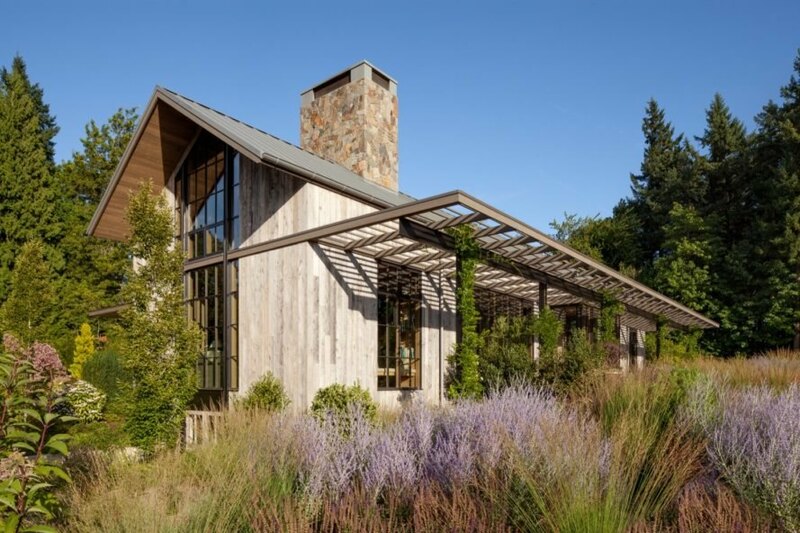 Clad in reclaimed barnwood, the home’s simple gabled form and ample glazing are evocative of traditional farm architecture. Completed in 2013, the Country Garden House is designed to harmonize with its lush landscape. Timber is used throughout, from the exterior siding and soffits to the interior surfaces and furnishings. Large grid windows with black metal framing help to break up the timber palette while also brightening the interior with natural light. 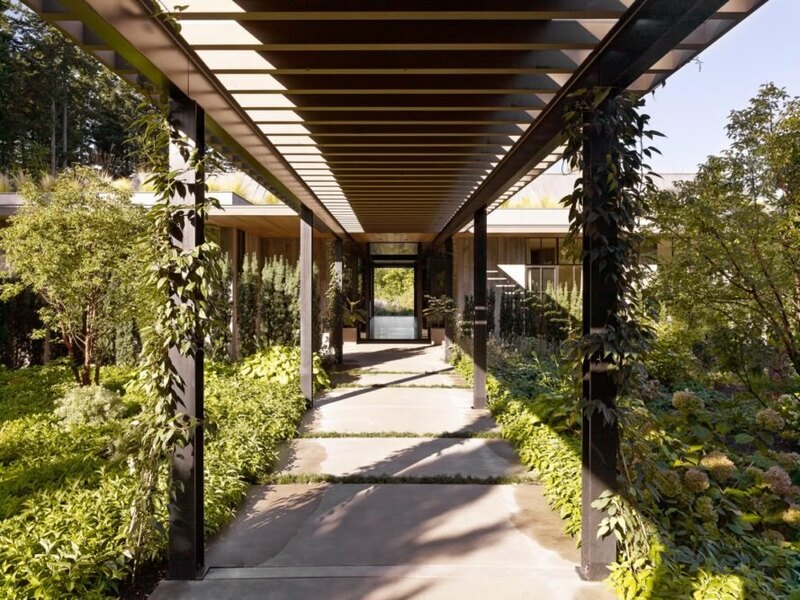 American plantsman and garden writer Dan Hinkley was brought on to collaborate on the design of the gardens, which are visible from every room in the home. A green roof further ties the house into its surroundings, as do the easily accessible outdoor living spaces designed for family gatherings. 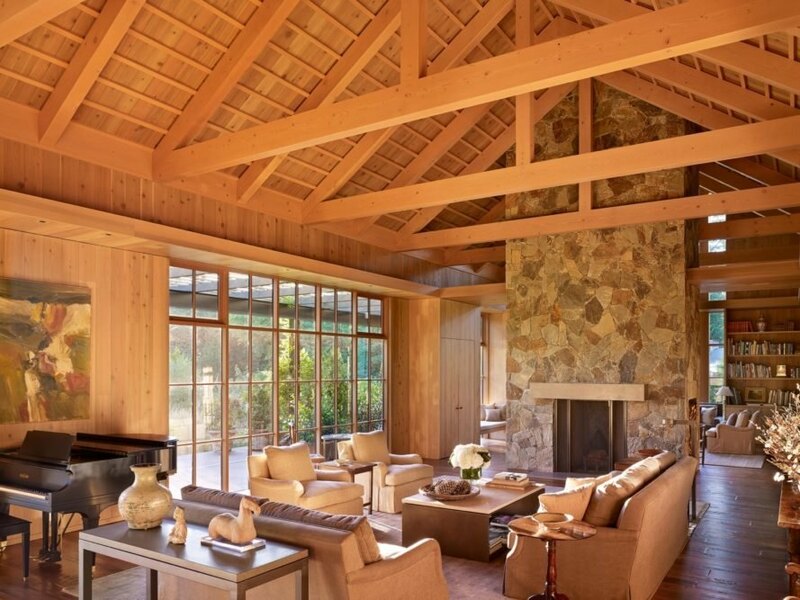 Enclosed by cedar walls and grid glazing, the living areas are anchored by a stone fireplace that separates the den from the living room. 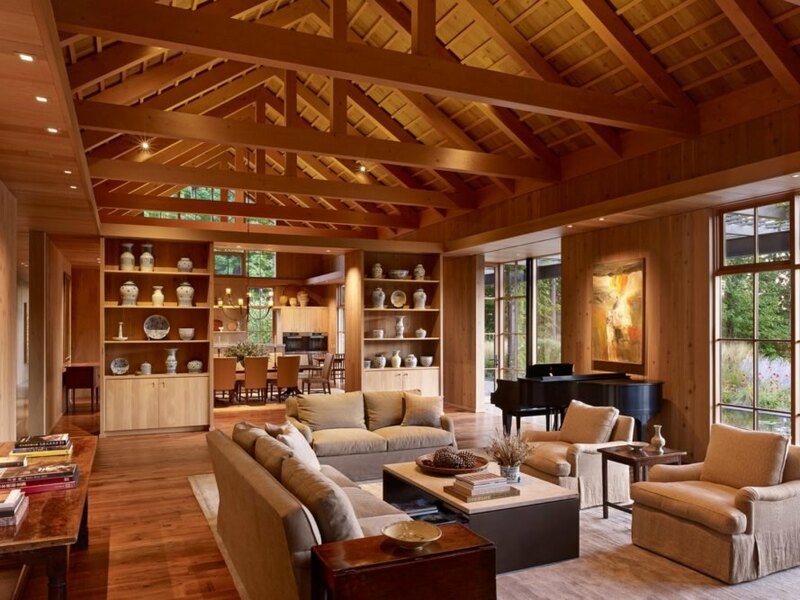 Exposed timber ceilings create “a sense of rustic refinement” and give the home another rustic counterpoint to the mix of contemporary and antique furnishings used throughout. 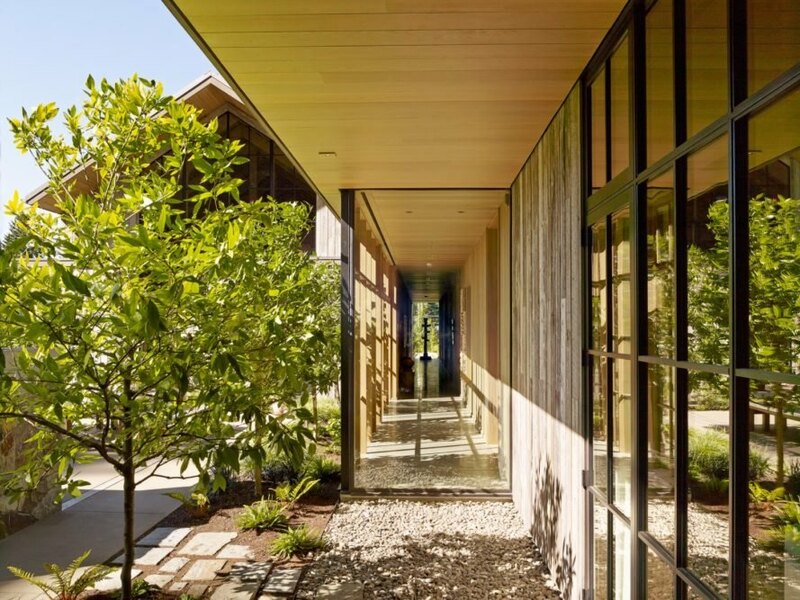 Olson Kundig designed this stunning home for a master gardener in Portland. The home's timber exterior and gabled roof reference traditional farm architecture. Stunning gardens are visible from every room of the home. Plants surround the home, which also features a lush green roof. Inside, the timber palette continues, creating a cozy feel. The structure is designed to house multiple generations of a family. The home embraces indoor-outdoor living throughout.